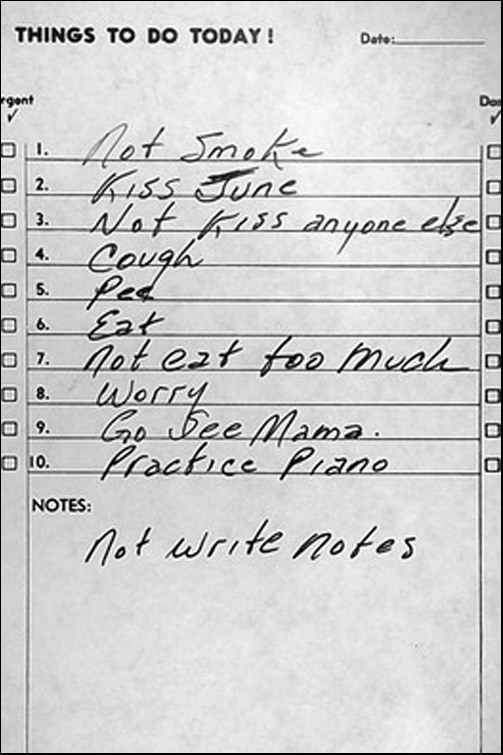 Right on the heels of yesterday’s inspiring daily regimen from Henry Miller, my dear Maman sent me this to-do list from the man in black, Johnny Cash. I particularly like #2 and #3, and in light of the source, #9. Previous Previous post: Keep Human!